Welcome to hell? If only. 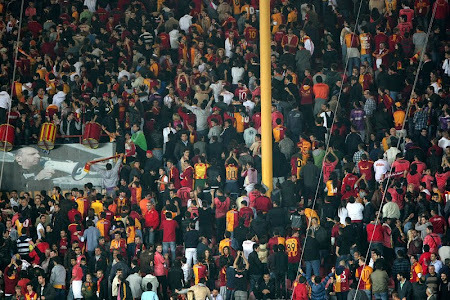 They'd roll out the red carpet to greet anyone from overseas to Galatasaray next season. Right here, right now, they are in a very bad place, and - possibly not for the first time - their fans are a little unhappy with life. After serving Gala and Turkish football for 46 years well-ish for 46 years, the infamous Ali Sami Yen Stadium is soon to be no more. In January, the club will move into their new Seyrantepe Stadium, and the two stadiums couldn't be any more contrasting. Ali Sami Yen was the founder of the club. A corporate new world of mod€rn football awaits. So, this match was one of the last to be played in the old ground. And fans of the Cim bom would have preferred for this to be remembered as a celebration, ah. 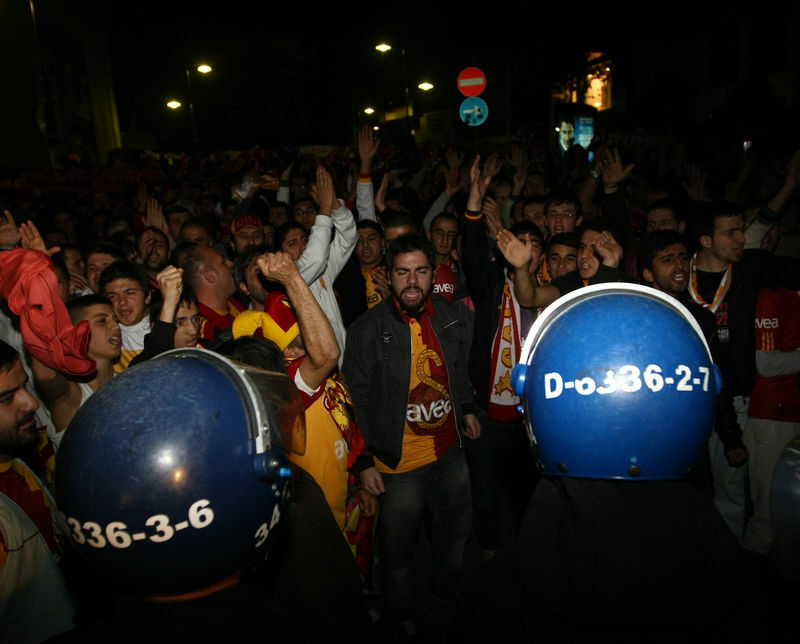 Galatasaray are having one of their worst seasons in recent memory. After 12 rounds of the Turkish league, they sit in tenth position. The board reacted by sacking Frank Rijkaaard and called back the legendary Gheorghe Hagi, but things have not improved. During this game, the fans let their thoughts about the board be known. They turned their back to the pitch and chanted names of past heroes; Metin Oktay, Hakan Şükür and the like, to remind the current regime of just how big this club is. 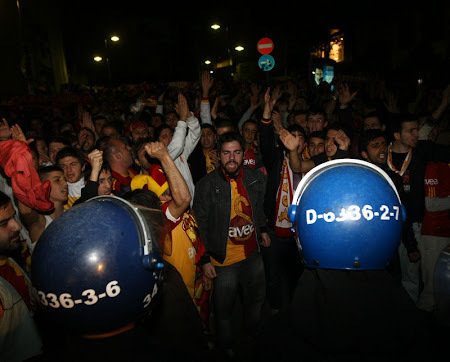 At the end of the match, they refused to leave the stadium for over an hour and continued chanting obscenities against the current owners. Who turned out the lights? Fans remain behind to voice their anger. Manisaspor won this game with ease by utilising their pacey wingers to good effect. Gala barely had a shot worthy of note. Last years top scorer Aziza Makukula and Simpson's penalty secured the points for the, ahem, Tarzanlar (Tarzans). Just three more home games left until the bulldozers demolish the Ali Sami Yen, and turn it - rather like Highbury - into a block of flats. 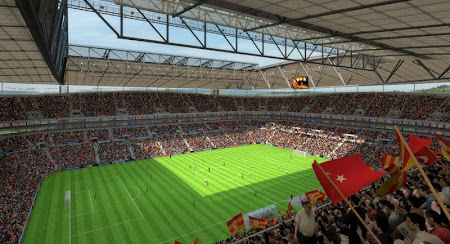 The fans are hoping that the new stadium will bring with it some fresh optimism and new hope. Istanbul is a huge metropolitan city and the Ali Sami Yen was smack bang in the middle of that city. It was easy to come and go from the stadium. And with all the buildings and stuff surrounding the ground, you are spoilt for choice in terms of food. Sultanahmet Koftecisi (Sultanahmet Meatballs) are always popular with the fans, as are the kebab, but good luck with getting a kebab, because the queues are always enormous. Misir (corn) is maybe not the normal thing you'd think of eating before a match, but these are very popular in Istanbul. And you have to finish eating them before you get to the stadium, because the Turkish police won't allow you take a corn cob inside, bizarre eh? If it's cold then opt for Kestane (chestnuts), they are sure to warm your cockles - and no mistake. Next up on these pages will be a trip to see Manisaspor v Bursaspor, until then Sağlığınıza!